Nepal is strategically located between India and China, two of the largest and fastest growing economies of the world. This offers unparalleled and preferential access to their markets for bilateral trade and investments. India and China are Nepal’s biggest trading partners. It is not only the potential of increased trade in the future between Nepal and these countries but there is also a huge potential for Nepal to act as a transit hub for trade between India and China. Likewise, Nepal lies at a GMT time zone of +5:45, suitable for European and American countries to have a 24-hour work schedule or for Asian countries to have a collaborative work schedule. Nepal opened up to trade and FDI during the liberalization movement in the 1990′s and became the first among the least developed countries to join the WTO as a member in 2004, reinforcing its commitment to integration with South Asian and other regional and global economies. It has further established its interest in economic integration through its memberships in regional economic blocs such as SAARC (South Asian Association for Regional Cooperation), BIMSTEC (Bay of Bengal Initiative for Multi-Sectorial Technical and Economic Cooperation) and SAFTA (South Asian Free Trade Area). Assurance of security for industries established under the Foreign Investment and Technology Act. Investment Protection Agreements with countries such as France and Germany which provide investments with full protection and security, along with a guarantee of free transfer of payments such as capital, profits, and loans. Avoidance of double taxation through the government which will take the necessary action to conclude agreements with the countries of the concerned foreign investors. Nepal is one of the most liberalized countries in South Asia. Liberalization movement started in the 1990’s and the country has always been open to trade and FDI since. Major reforms in laws and regulations have not only spurred growth of domestic private operations in sectors which were once government monopolies but also have opened up key domestic sectors for foreign players. In FY 2011/12 Nepal hosted more than 2,335 foreign investment projects worth a total of approximately USD 2.76 billion. 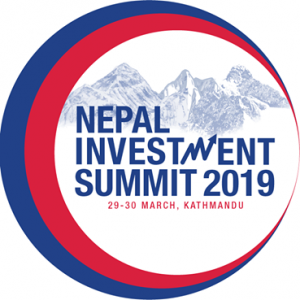 While on one hand Nepal welcomes foreign investments, it is also committed in helping foreign investors take their returns home. The country has easy profit repatriation laws and regulations. Low labor costs and an increasingly literate population gives global companies based in Nepal a competitive edge in the global market. Labor costs here are below regional and global standards and there is an abundance of labor supply, reflected in the 1200-1500 workers that leave for Gulf countries every day in search for employment opportunities. In addition, various efforts by the government such as the Strategies for Capacity Development are aimed at further enhancing the productivity of the Nepali workforce. Hence, all these factors offer a huge potential for global companies to be based in Nepal and tap the low cost labor force internally. Various multinational companies have already entered Nepal to take advantage of these factors. Nepal’s unique geography and tectonic activity allows for incredible biodiversity. Elevation levels go from 100 meters above sea level in Terai to beyond the perpetual snow line, with roughly 90 peaks over 7,000 meters. This geographic diversity is favorable for finding a variety of metallic, nonmetallic, and fuel minerals. About 63 minerals have been identified in Nepal so far (2010-2011) and the Himalayas are expected to have large reserves of limestone, talc and other industrial/construction minerals. Due to the relatively little exploration and extraction of these resources, there remains a huge potential in the mining sector. Hence, promotion of exploration and mining projects remains a top priority for the Government of Nepal which is reflected in its willingness to provide necessary legislation to ensure mineral development activity. Similarly, this geographic variety has given rise to an abundance of a variety of natural herbs with there being some1624 different species of medical and aromatic spices. These offer a large potential for revenue generation due to the increasing demand for herbal remedies worldwide. The potential for energy generation is also vast due to the large number of perennial rivers and rivulets capable of generating electricity with an estimated electricity generation potential of about 42,000 MWs. Furthermore, traces of oil and natural gas have been found in various parts of the country with major international oil companies already conducting exploration expeditions. Nepal’s variation of climate from tropical/subtropical in the southern region to alpine and arctic in the mountain region provides a range of desirable conditions for expats and foreigners wishing to work and stay in the country. Similarly, the Nepalese are known for their friendly and hospitable nature all over the world. Warm hospitality and honesty have always remained valued fine traditions of the Nepali culture. Respect for guests and visitors are deeply embedded in the Nepali culture that considers them forms of Gods and Goddesses. Nepal is a destination which is bound to enthrall and mesmerize with its people, history, cultures and traditions.